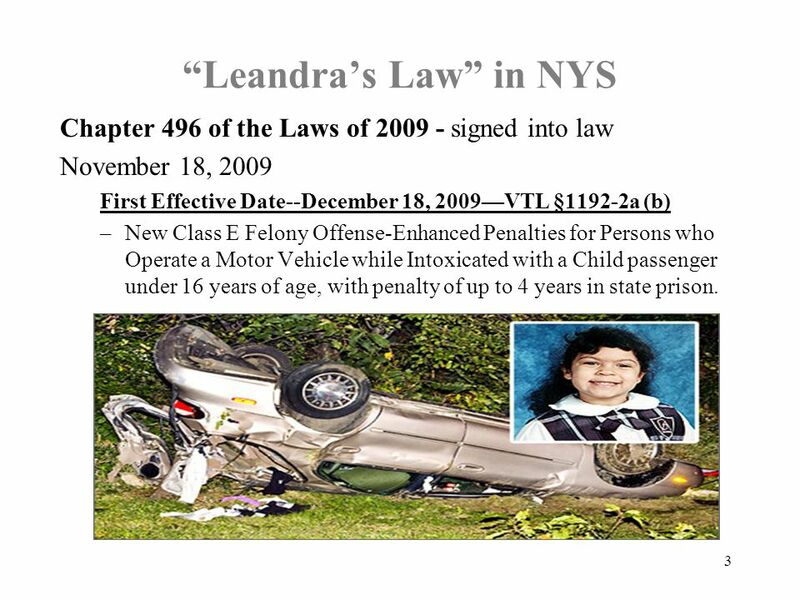 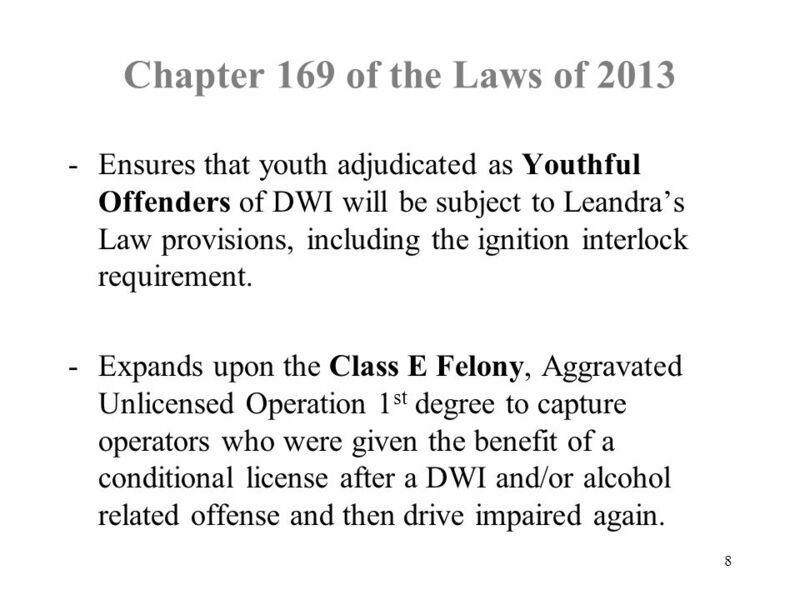 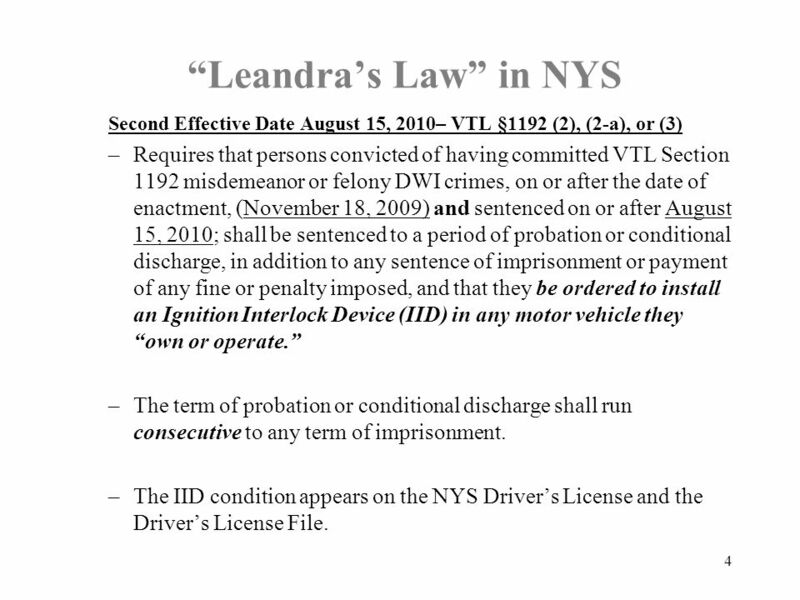 Ignition Interlock: “Leandra’s Law” in New York State STOP-DWI Association Mid Year Meeting May 28, 2014 Shaina D. Kern Community Corrections Representative. 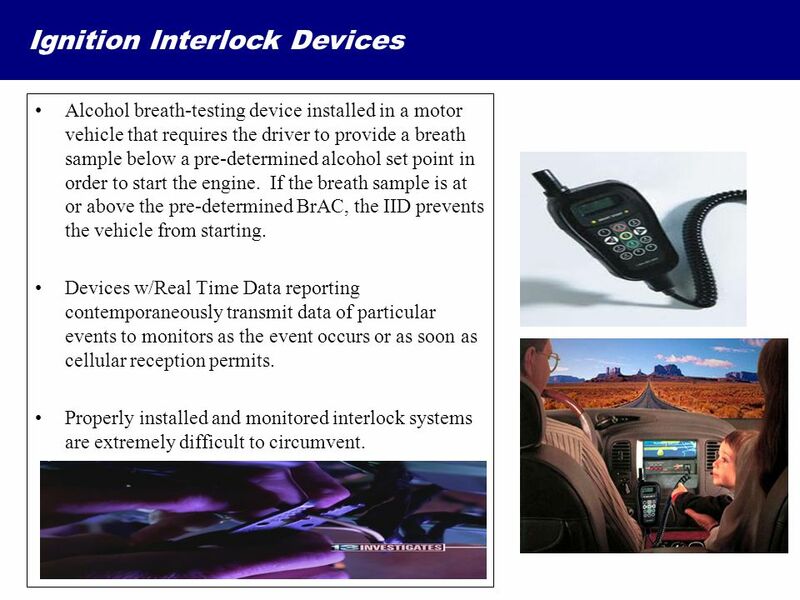 2 Ignition Interlock Devices Alcohol breath-testing device installed in a motor vehicle that requires the driver to provide a breath sample below a pre-determined alcohol set point in order to start the engine. 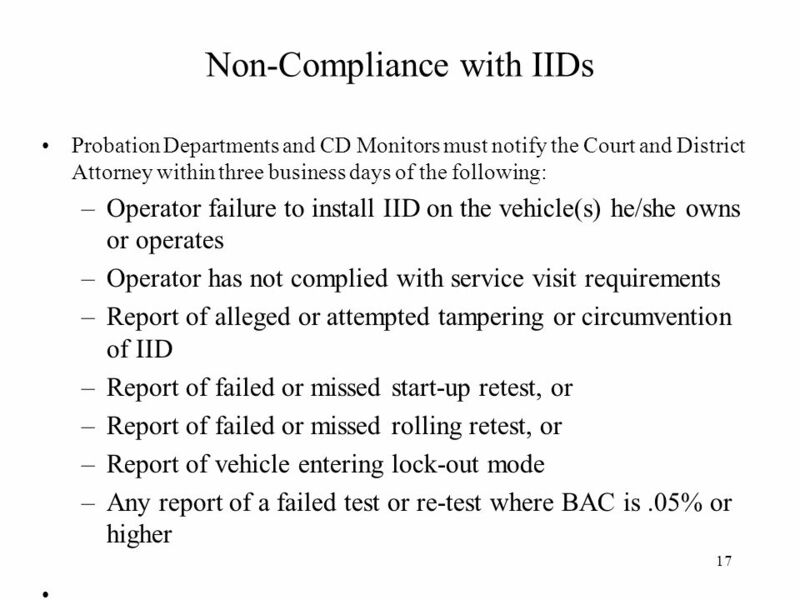 If the breath sample is at or above the pre-determined BrAC, the IID prevents the vehicle from starting. 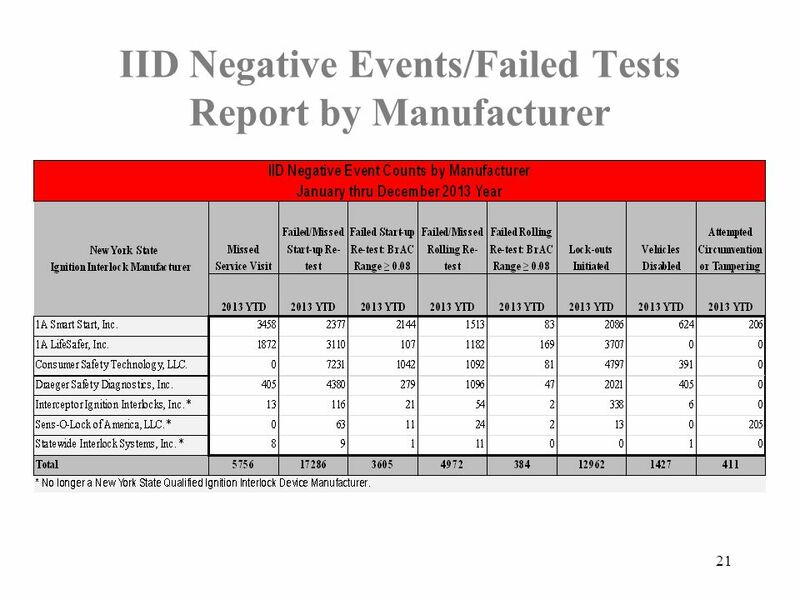 Devices w/Real Time Data reporting contemporaneously transmit data of particular events to monitors as the event occurs or as soon as cellular reception permits. 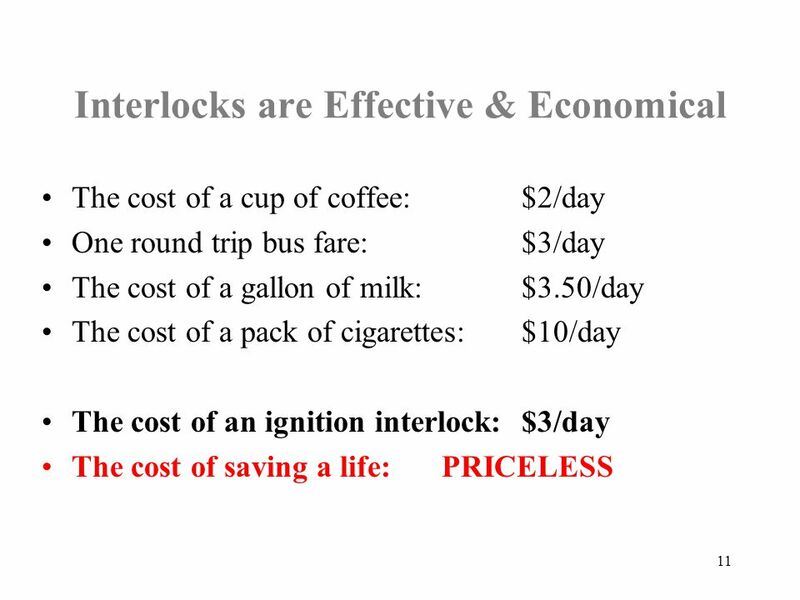 Properly installed and monitored interlock systems are extremely difficult to circumvent. 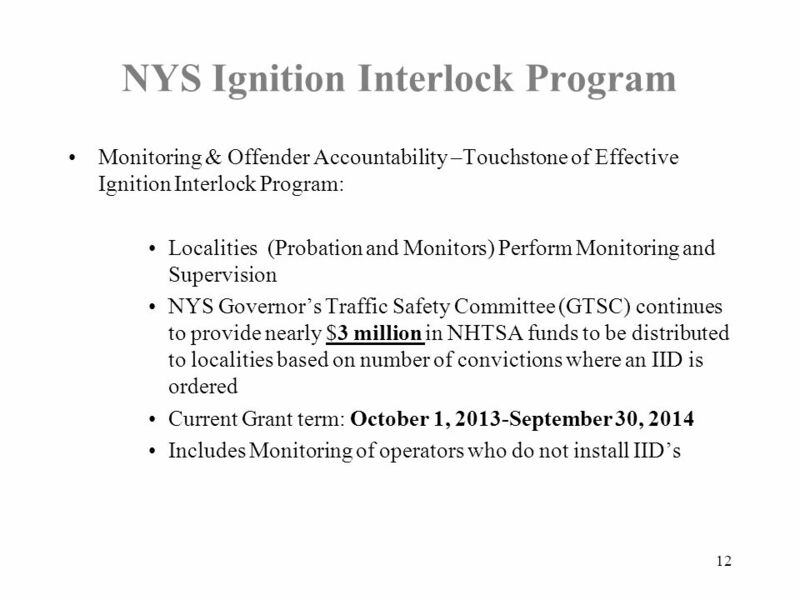 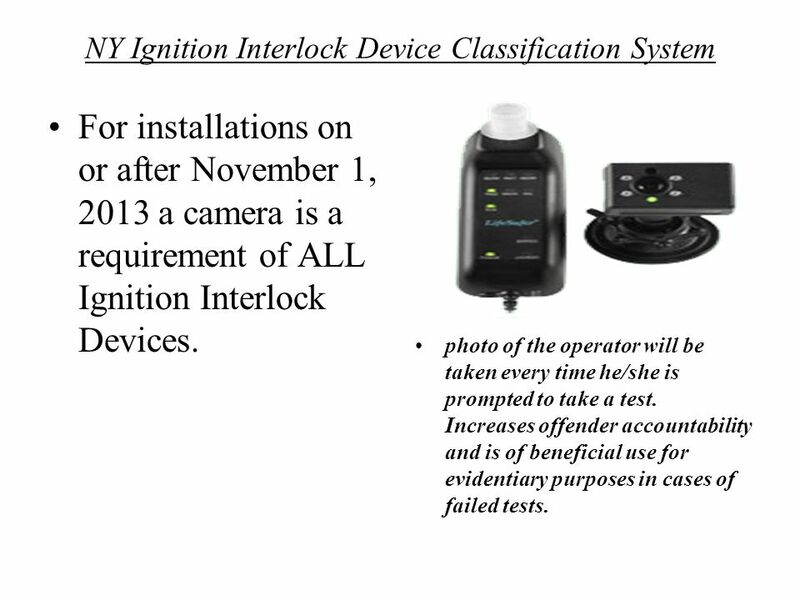 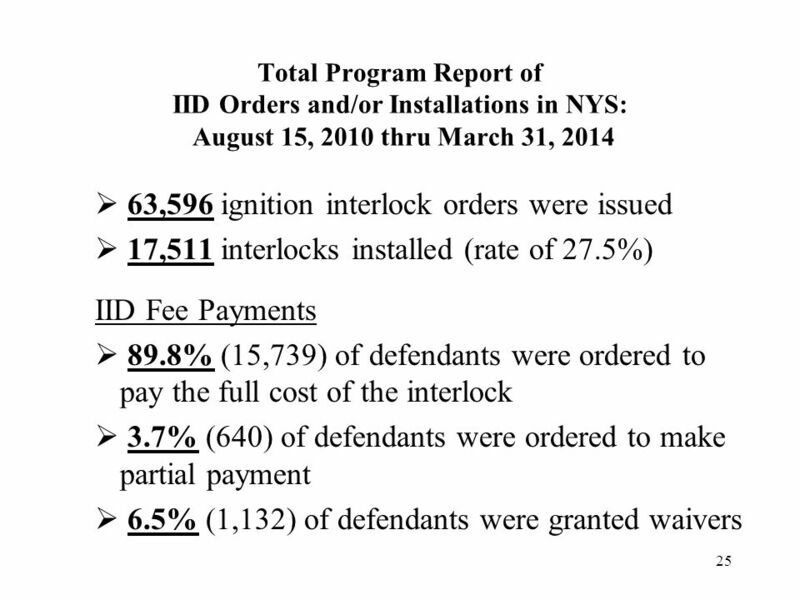 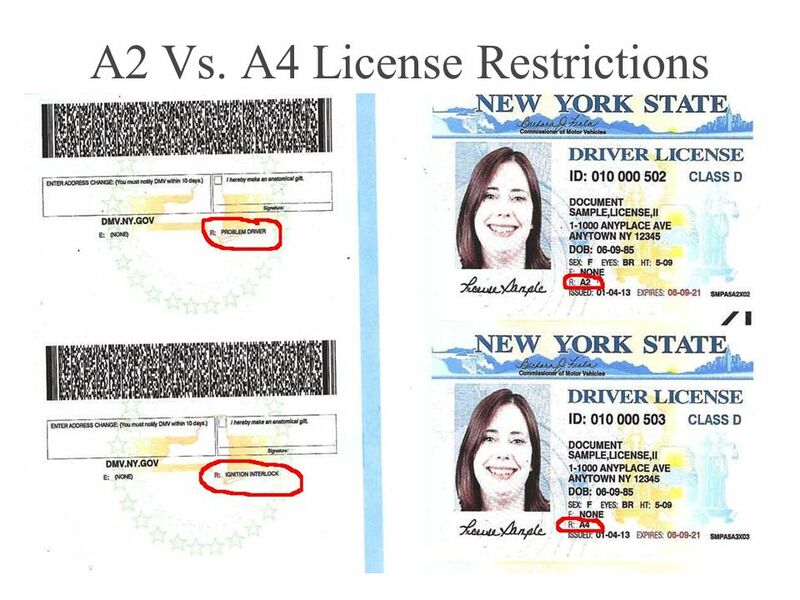 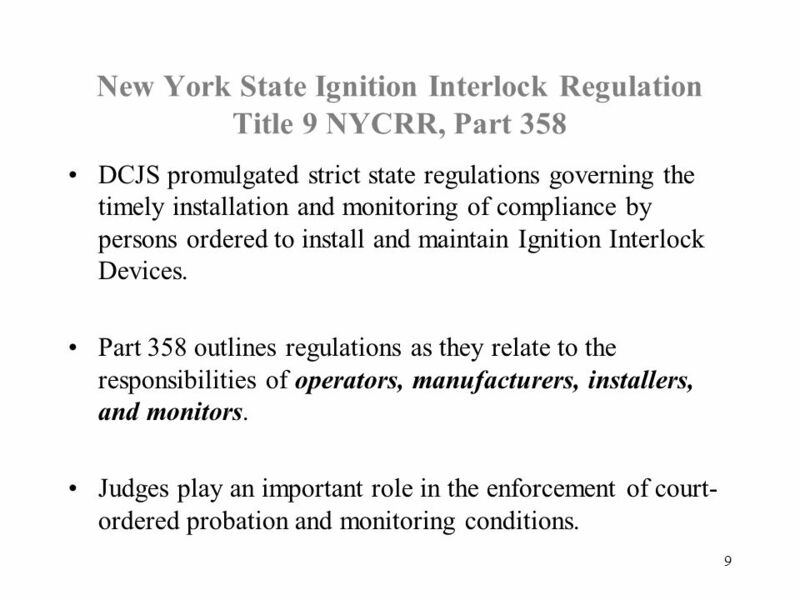 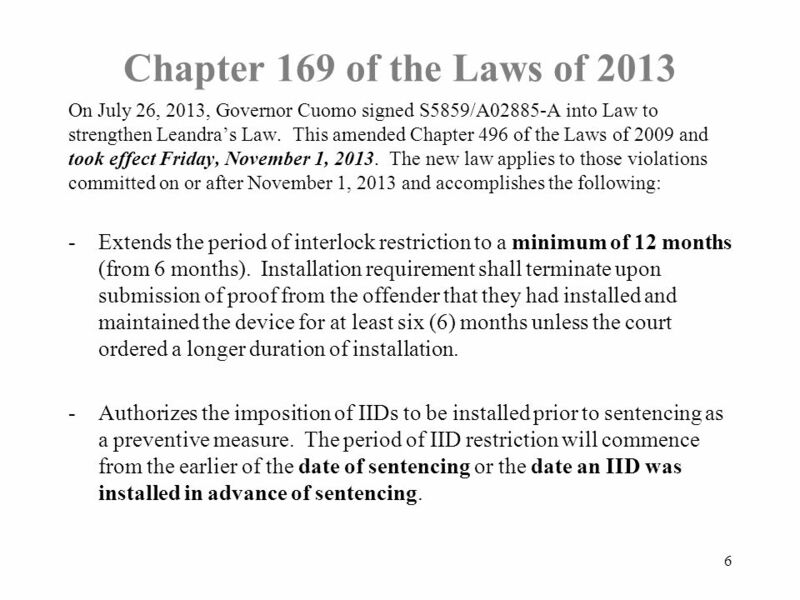 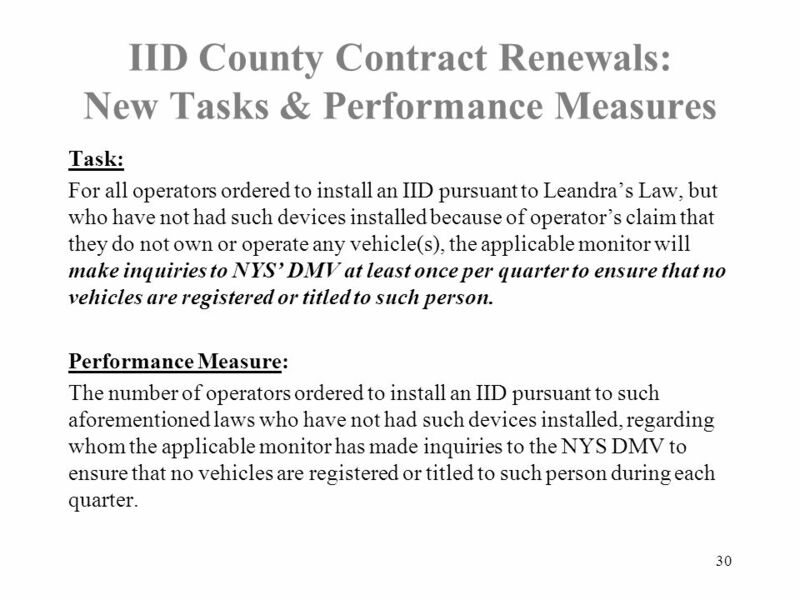 14 NY Ignition Interlock Device Classification System For installations on or after November 1, 2013 a camera is a requirement of ALL Ignition Interlock Devices. 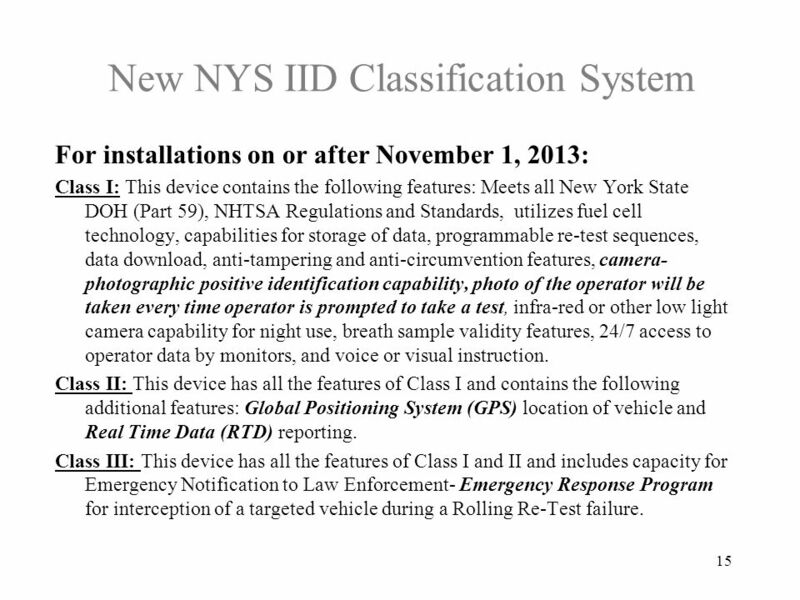 photo of the operator will be taken every time he/she is prompted to take a test. 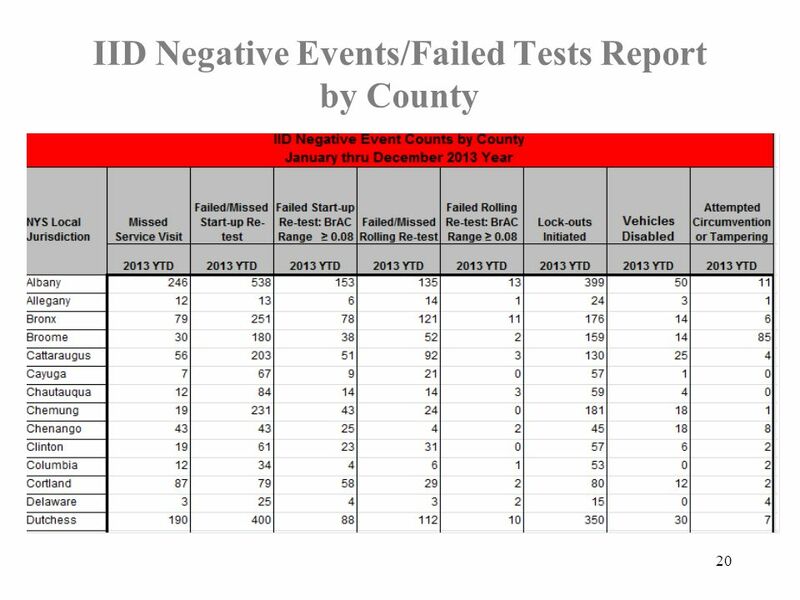 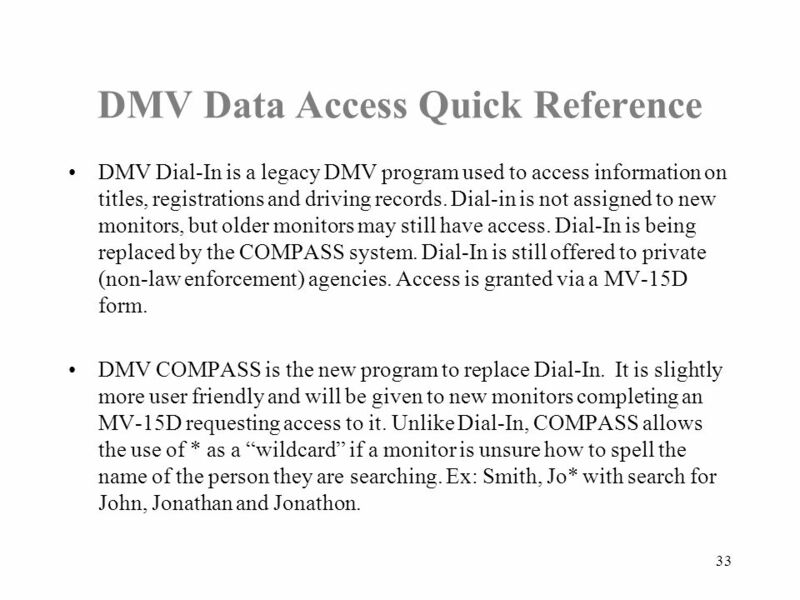 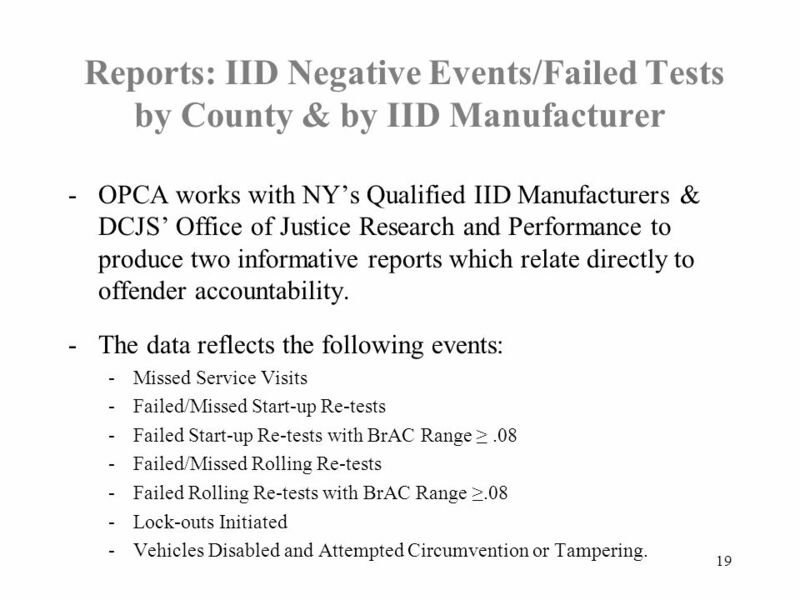 Increases offender accountability and is of beneficial use for evidentiary purposes in cases of failed tests. 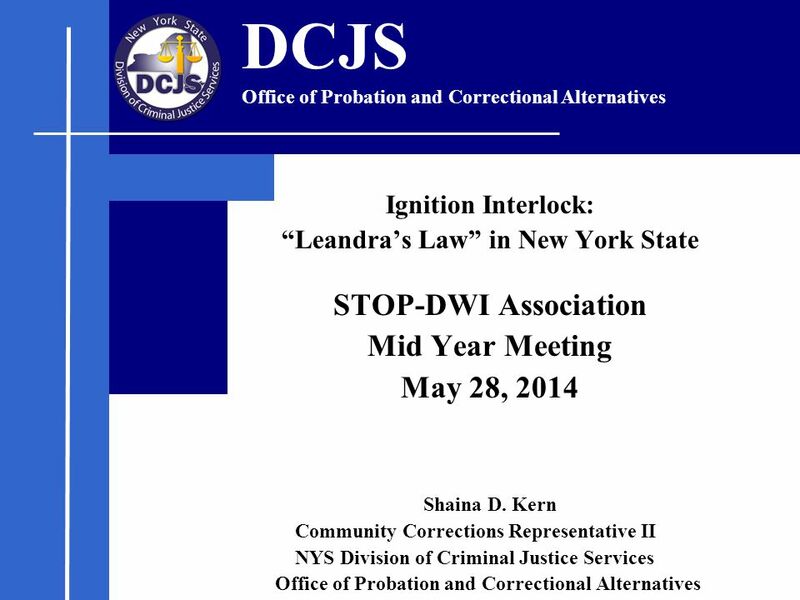 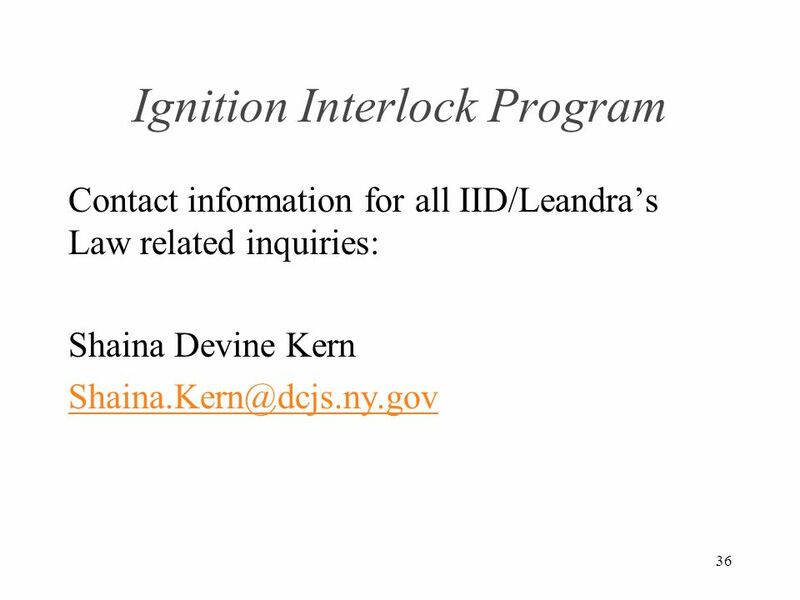 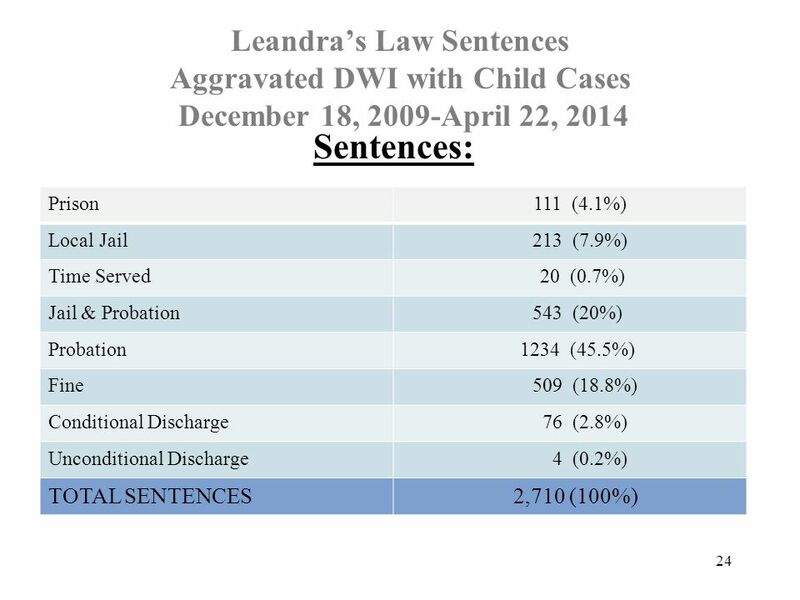 Download ppt "Ignition Interlock: “Leandra’s Law” in New York State STOP-DWI Association Mid Year Meeting May 28, 2014 Shaina D. Kern Community Corrections Representative." 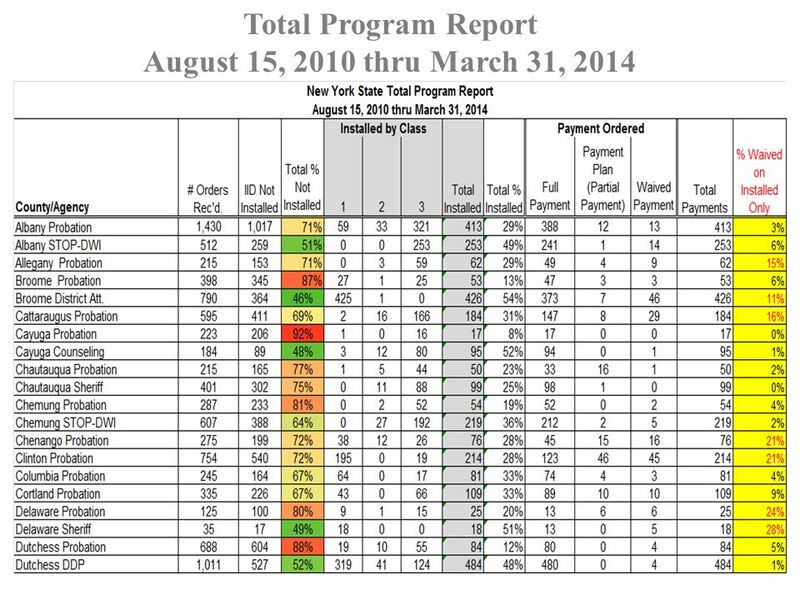 1 IMPROVING TRANSPORTATION SERVICES IN EARLY EDUCATION AND CARE SETTINGS EEC Board Meeting – November 8, 2011. 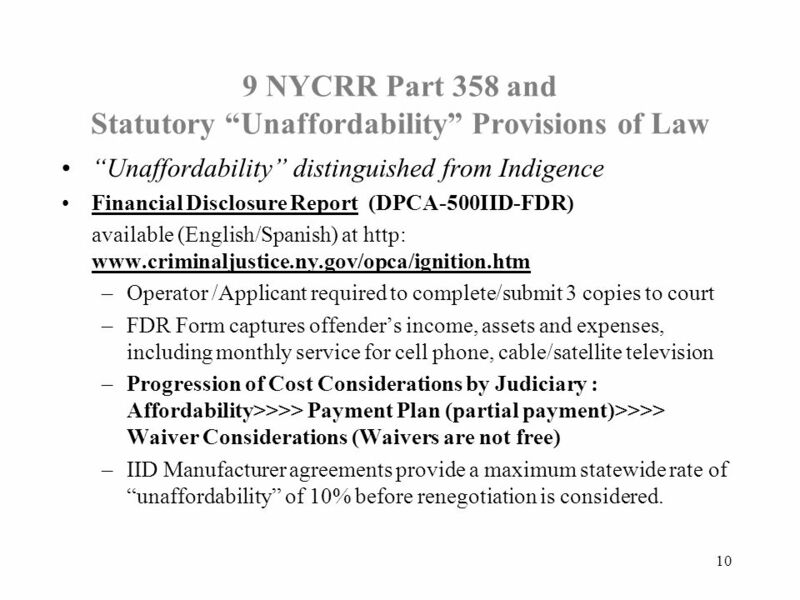 Senate Criminal Justice Committee October 7, 2009 Walter A. McNeil, Secretary Florida Department of Corrections. 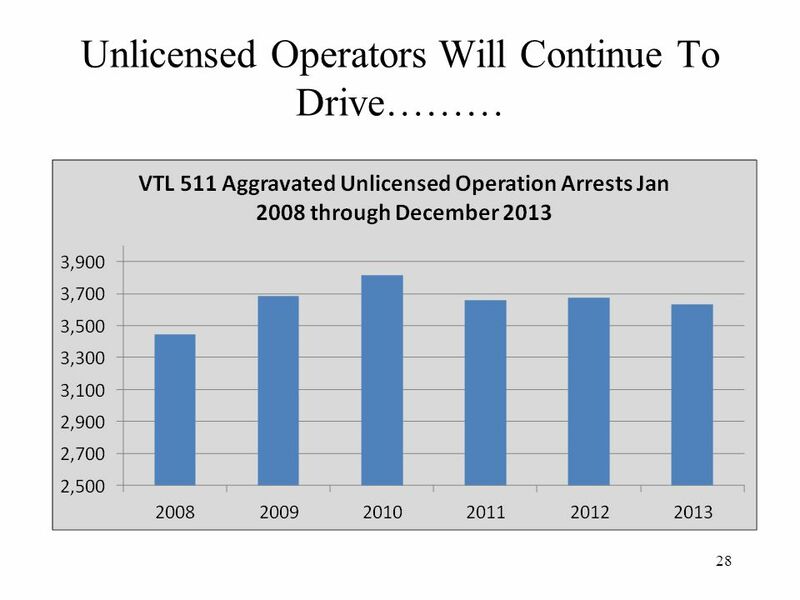 Pre-Licensing Course Requirements A quick review for Driver Traffic Safety Educators. 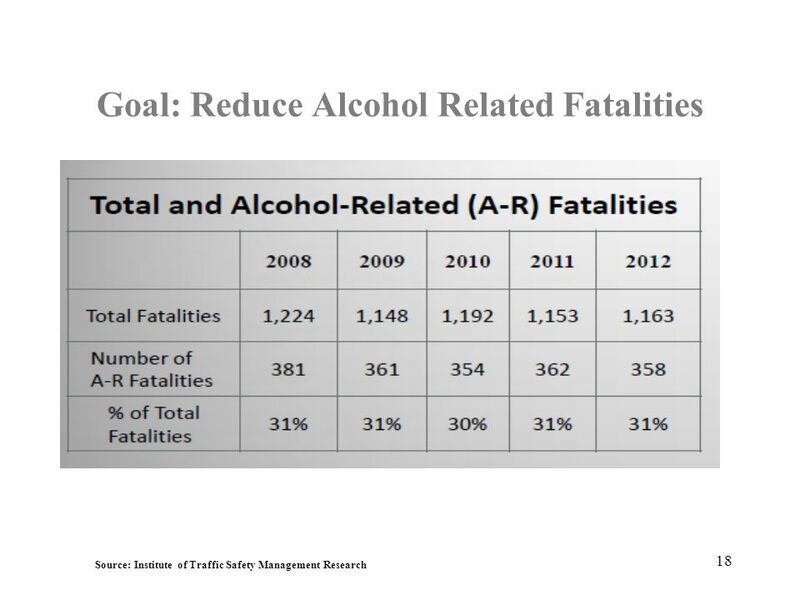 Oklahoma Highway Safety Office Annual Forum and Impaired Driving Prevention Summit March 21, 2013 Patrick Boulden, City Attorney, Bixby, Oklahoma. 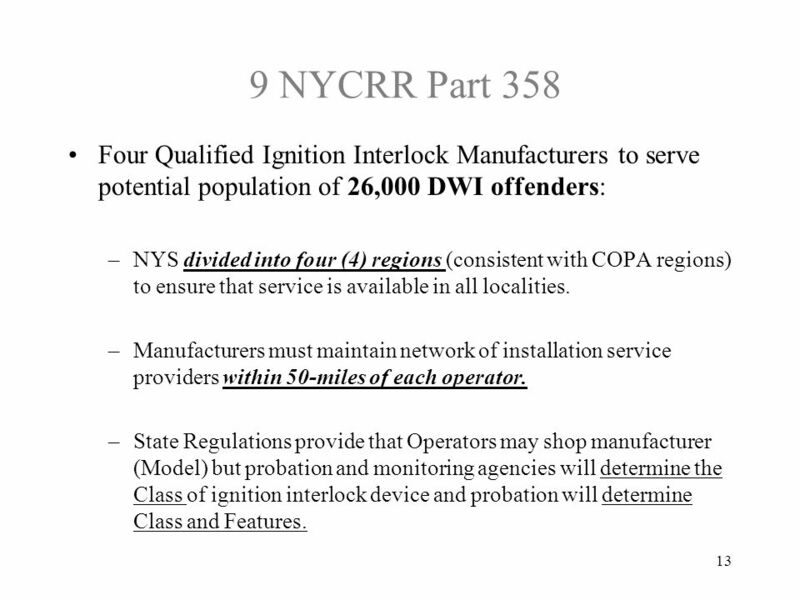 RECOMMENDATIONS OF THE STATE TASK FORCE FOR THE PREVENTION OF HUMAN TRAFFICKING RECOMMENDATIONS OF THE STATE TASK FORCE FOR THE PREVENTION OF HUMAN TRAFFICKING. 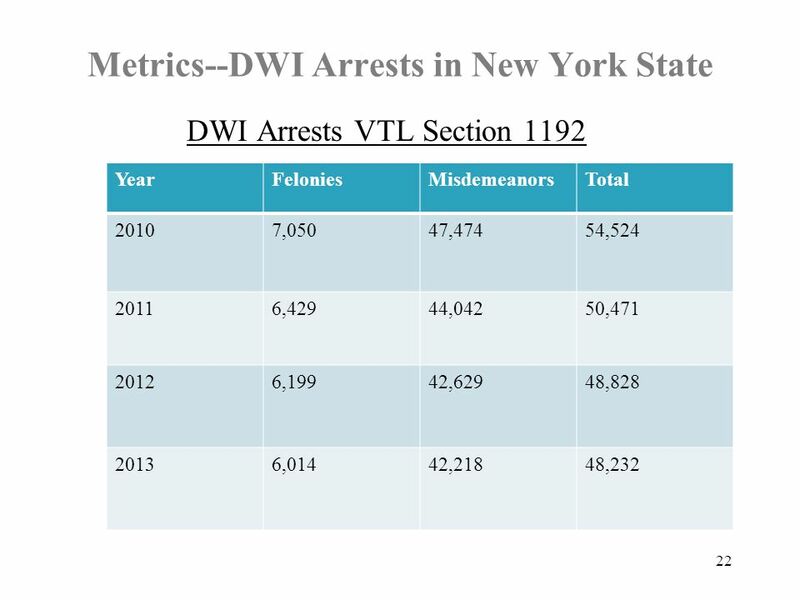  Comprehensive review of DWI administrative license sanctions  Project Goal – Recommend effective sanctions that: › Reduce alcohol-related fatalities. 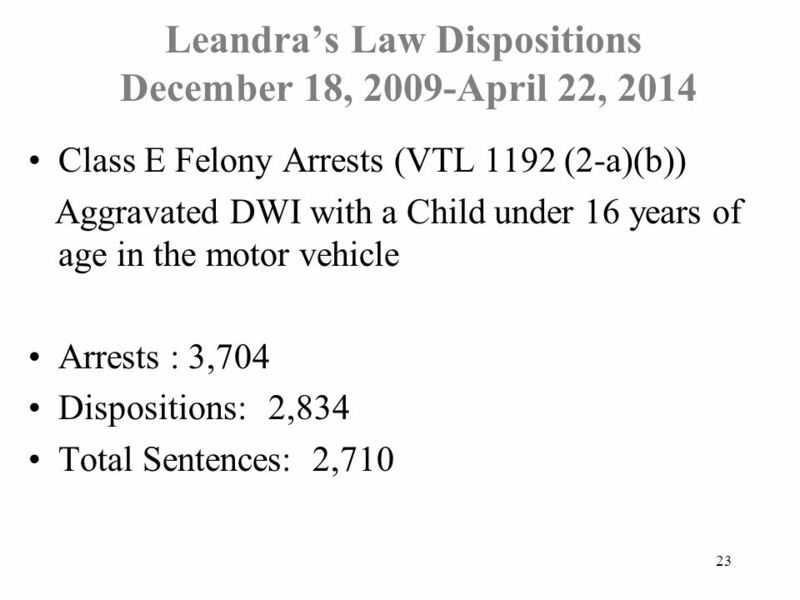 Texas Code of Criminal Procedure. 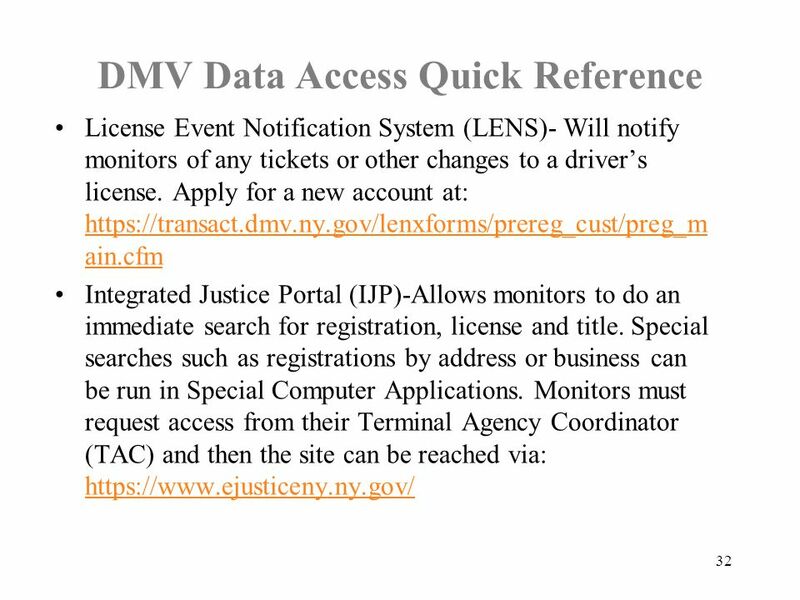 Terminal Objective Upon completion of this module, the participant will be knowledgeable about the sections of the Code. 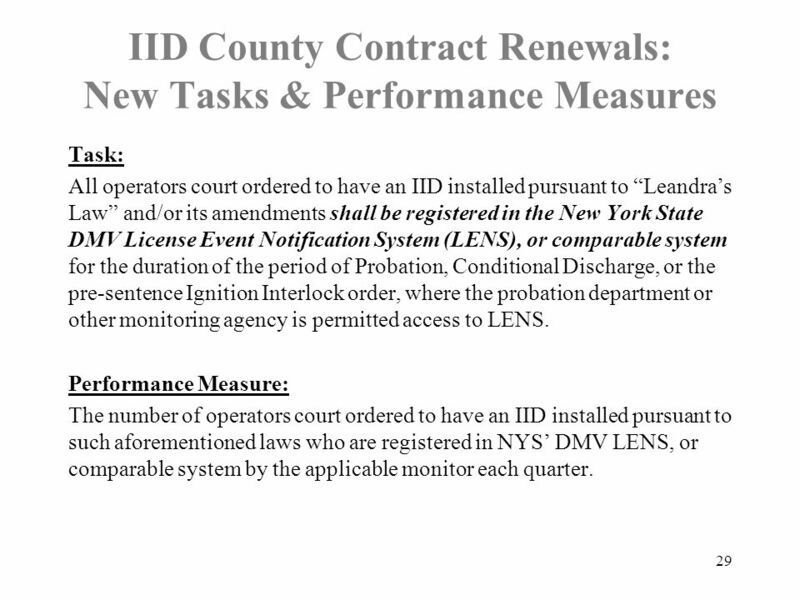 Michael Seereiter Director of Planning, NYS Office of Mental Health and EO #38 Implementation Lead 1. 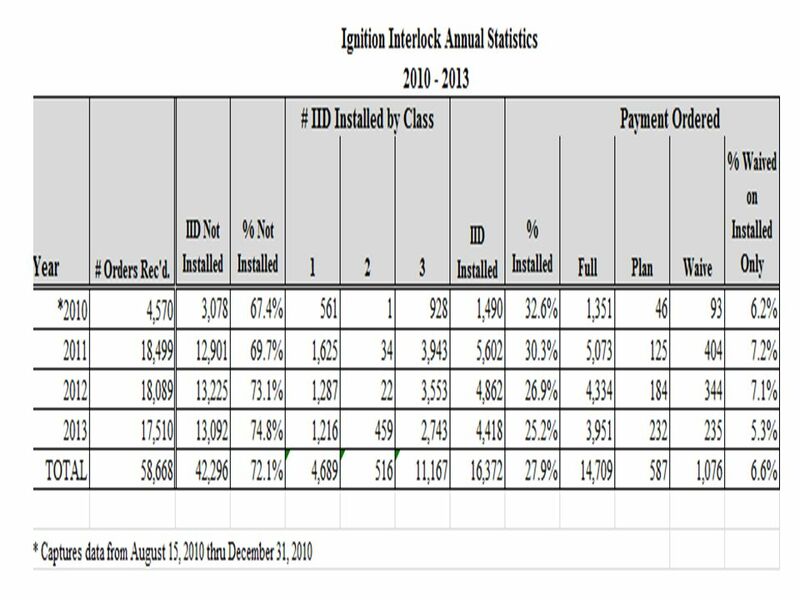 BREAKOUT SESSION 2 Basic Distribution Calculations 1. 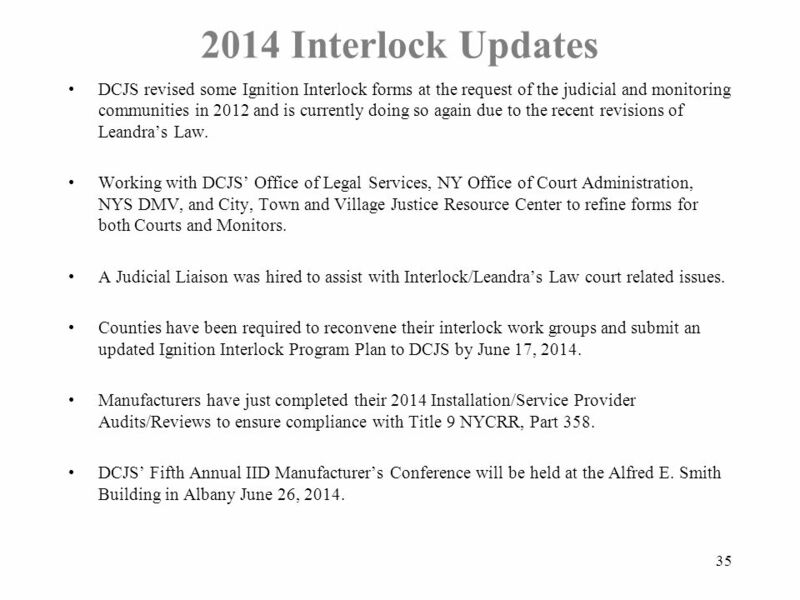 LIHTC Compliance Real Estate Development and Tax Credit Finance 101 Conference July 29, 2014. 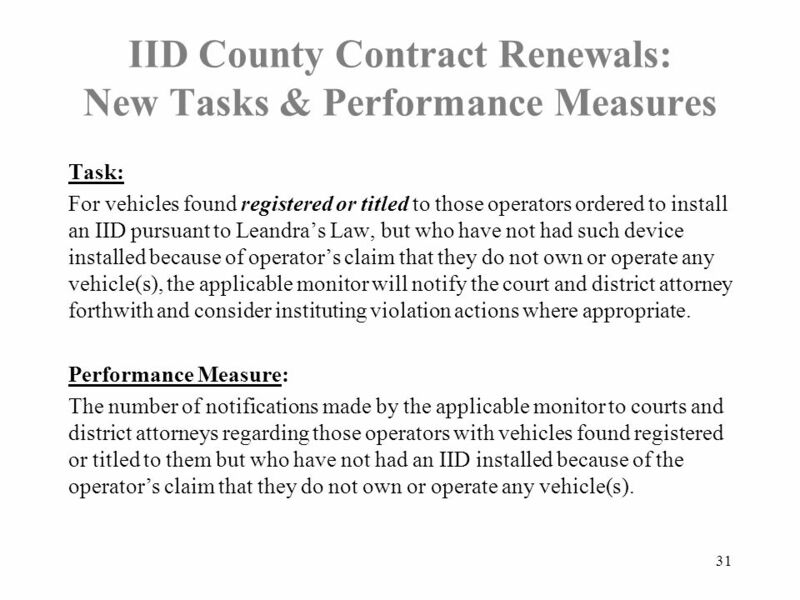 1 Motor Carrier Registration Motor Fuels Tax Division Rev. 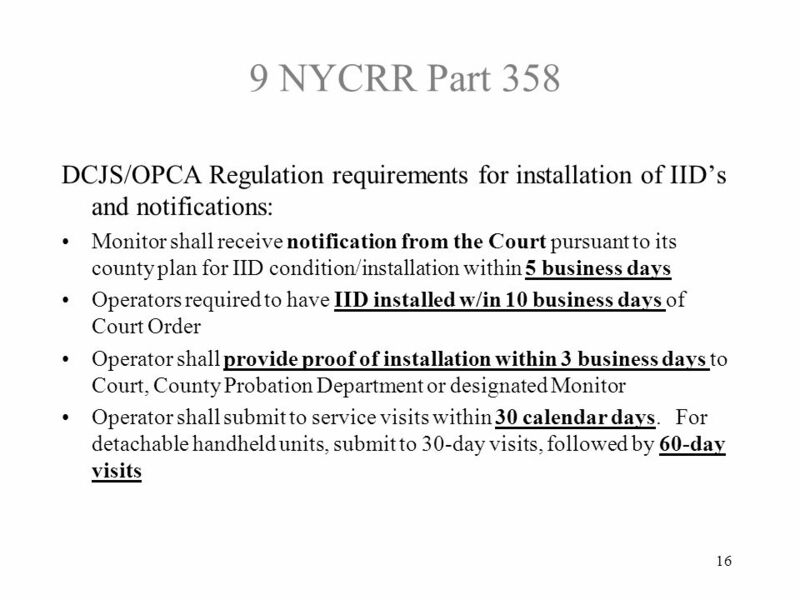 08/09. 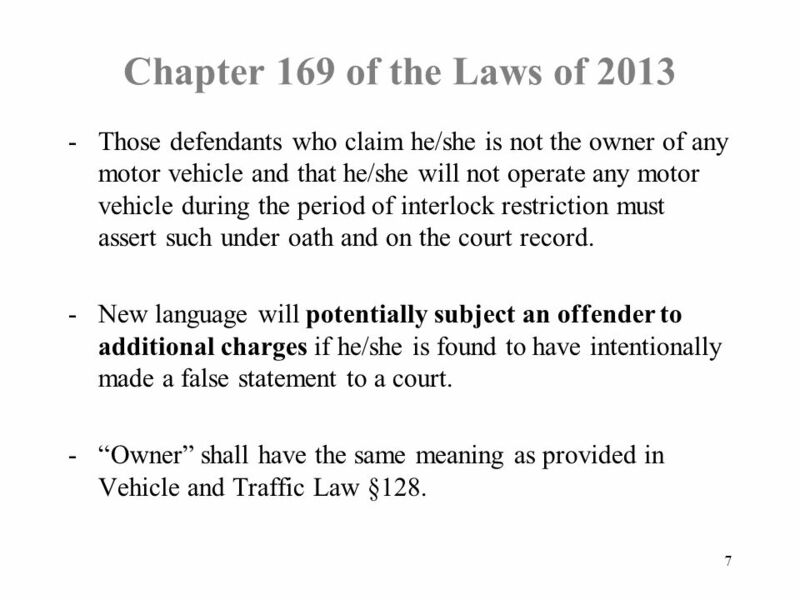 Alabama Driver Manual Chapter 2 You May Lose Your LIcense.